If you love downhill or cross-country skiing, Red Lodge is one of the best places in Montana to do both. Never been to Red Lodge? Well, the popularity has made Red Lodge famous as a ski town and is an easy trip for many coming from Billings, Montana. During the winter downtown is full of local and visiting ski junkies. What is the skiing like? Where is it located? How can I get ready to hit the trail? Perhaps the most popular and well-known place to plow some powder is simply called the Red Lodge Mountain. Once arriving in town, it is clearly visible. Driving up the mountain to the lodge only takes about fifteen or twenty minutes. Skiing here is inviting for both novice and experts alike. From four-year-olds, ski racers, terrain park enthusiasts and retired couples, you’ll see it all here. Difficulties range from the slow-going Miami Beach, to the many double black diamonds. The season usually starts from the last week of November to the mid of April but the exact dates can change depending on snowfall or sometimes negotiations with the forest service. Even if the lifts are closed, feel free to hike the mountain off- season! The same goes for early mornings if you want to be the first one to make tracks down the hill, but it's a tough hike and you will have to beat the locals to it! But remember safety is first, the especially cold days can get as low as -20°F! There are a total of 70 runs on the mountain and they vary from season to season, with 66 or more typically available each year. Lifts include 2 high-speed quads, 1 triple, 3 doubles and 1 magic carpet for beginners. Best of all, there are little to no lines! Get to the bottom and ride back up right away. 17% of runs are easy, 45% blue average and 38% are black diamonds. The top elevation here is 9,416 ft and can provide some awesome views. Lazy M is the longest run at 2.5 miles. Taking full advantage of the network of lifts will keep you out and about having fun long enough to where coming back to the ski lodge and warming up by the fire is a warm relief. For more information on the current snow conditions and pricing, check out the Red Lodge Mountain website. Miss the ski season? You might be in luck. The high altitudes of the Beartooth mountains keep snow around all year long. At the Beartooth Basin Summer Ski Area, you can get your ski fix from May 27th to July 2nd! It's only 23 miles on the road south of Red Lodge and will take you up one of the most beautiful passes in Montana. See what all they have to offer below. 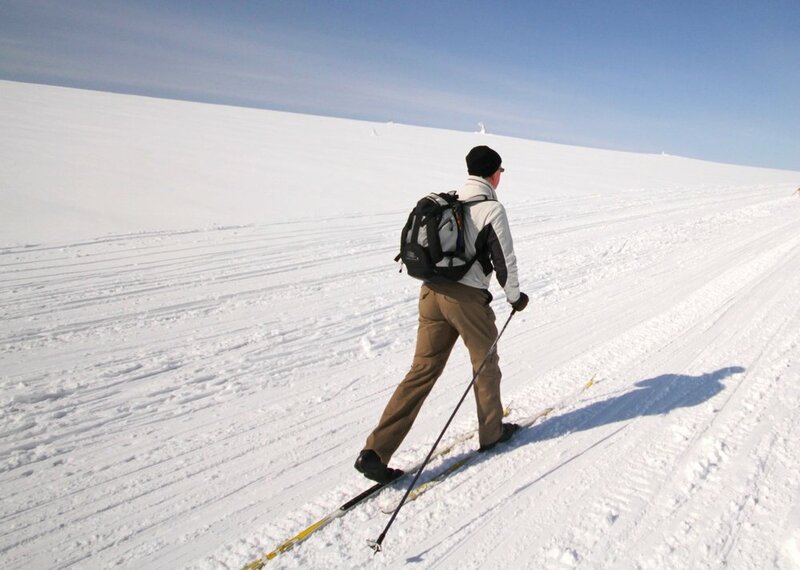 Located just two miles west of town off highway 78, the Red Lodge Nordic Center offers great cross-country skiing with beautiful views and trails. In fact, there is over 15k worth of trail, so get ready for some exercise. This is a very economic and family fun activity, with children programs offered during the winter season. Visit the B.R.T.A website to find out more. Get ready for the outdoors by visiting one of our local shops. The Sylvan Peak located downtown will help supply you with all the coats and gloves you might need. Additionally, they offer cross country ski and snowshoe rentals. Just go to 9 South Broadway Ave. Downhill ski rentals can be found at the Red Lodge Mountain or at The Ski Station located at 510 North Broadway Ave. They also offer the option to buy and have a second location in Billing, MT. With this you should be ready to go! Get out there and have some fun! Planning to visit The Corner Stone and have questions? Contact us! 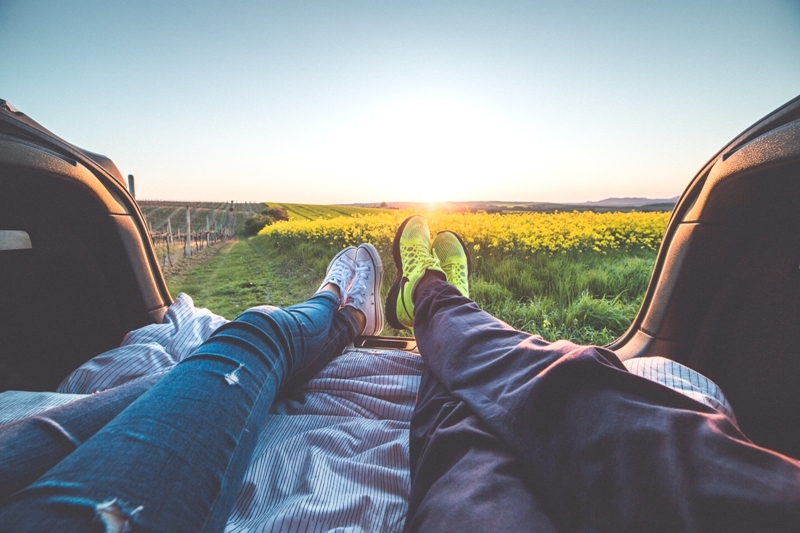 Here we will list four reasons why traveling together as a couple is so important. Regardless of age or origin, we all can better our lives and relationships with a little travel. And who better to do that with than your significant other? Science supports getting out of the regular routine to help break the cycle of anxiety and stress that can build up from work. A great way to do that is a weekend getaway or vacation. In an article by Tony Schwartz in The New York Times, he explains how relaxing will help you become more productive! There is only so much time in the day, but never taking breaks doesn’t always mean accomplishing more. As stated in the article, “...the accounting firm Ernst & Young did an internal study of its employees and found that for each additional 10 hours of vacation employees took, their year-end performance ratings from supervisors (on a scale of one to five) improved by 8 percent.” Such benefits have been shown to last weeks after going on a vacation. Many Americans don’t use all of their vacation, but doing so is a win win for everyone. Spending one on one time can put new couples to the test or reignite the fire in older relationships. Taking time to spend even just 15 minutes a day with your partner away from the kids, tv or smartphone to talk in private can be forgotten in our often busy everyday lives. Going on a trip makes it just about the two of you and eliminates distractions. It has been shown that couples that travel frequently are happier and more satisfied with their relationship. Plus, in the case of a new relationship, it can help you understand the other person more as you will both be out of your comfort zone, making decisions together and will have time to talk about bigger life questions, like if you envision having kids. Or in the case of a seasoned relationship, going somewhere other than home creates memories together that only the two of you share. On a rough patch with your partner? A common and very effective marriage counseling technique is to recommend a vacation. Spending time together gives the opportunity for rehabilitation and reconnection. Human beings are social creatures at heart. One of the great things about being in love is sharing things with each other and being your true self. It also can give you the motivation or excuse to go do and see things you wouldn’t have otherwise. Even activities you know to be bad at can become great fun as you both laugh at each other’s lack of skill. Has your girlfriend or boyfriend never been skiing or horseback riding before? Show them the ropes and create friendly competition. Find out what activities Red Lodge, Montana has to offer. Getting dirty is good for you! These days many of us are prone to always keeping sparkly clean, but exposing yourself to the outdoors can boost your immune system. Research has also shown that activities like hiking can boost your hippocampus and keep it healthy as you grow older. This helps against memory loss and dementia. Of course, muscle building and fat burning is always a plus. Additionally, the same exercise will release endorphins in the brain and make you happier! Traveling to new places can also present new challenges, such as a taller mountain, which has the added benefit of satisfying the wanderlust within us. Try being a kid again, leaving any stressful thoughts behind and focusing on just what is in front of you. Perhaps that ideal scene contains nothing more than a beautiful view and your soulmate.